This wall hanging will go in our bedroom. 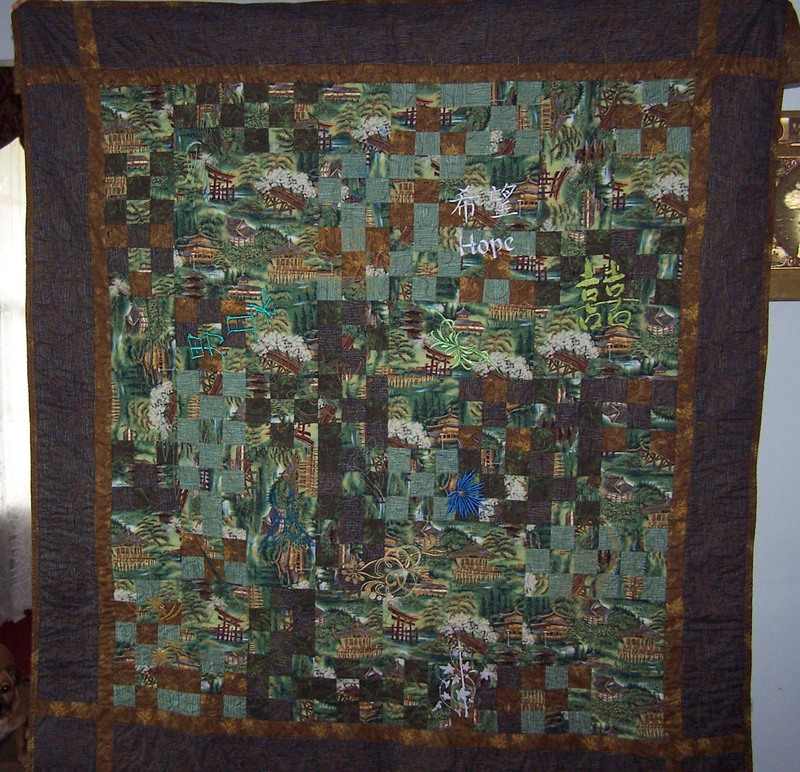 There are embroidered images (with an Asian slant) and free-motion quilting throughout the quilt. 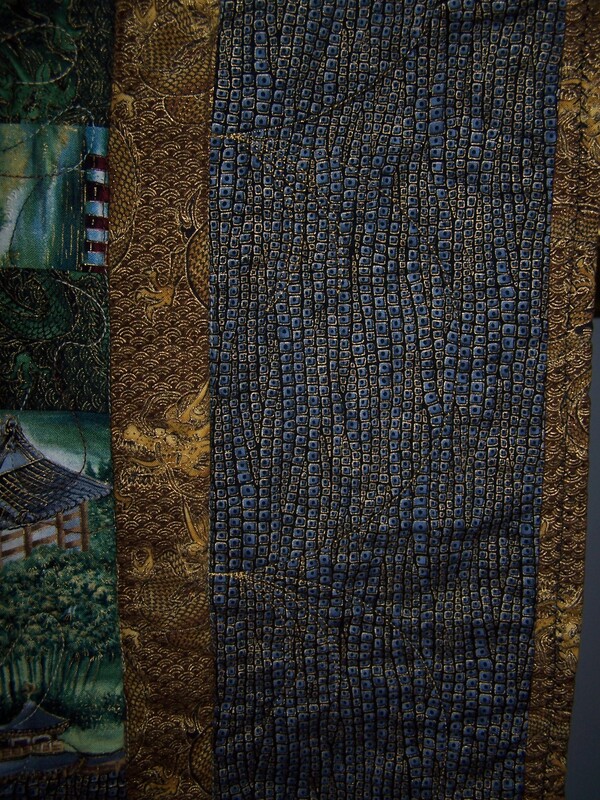 You can sorta see the arcs that are in the border– this is going to be gorgeous when its hung up!